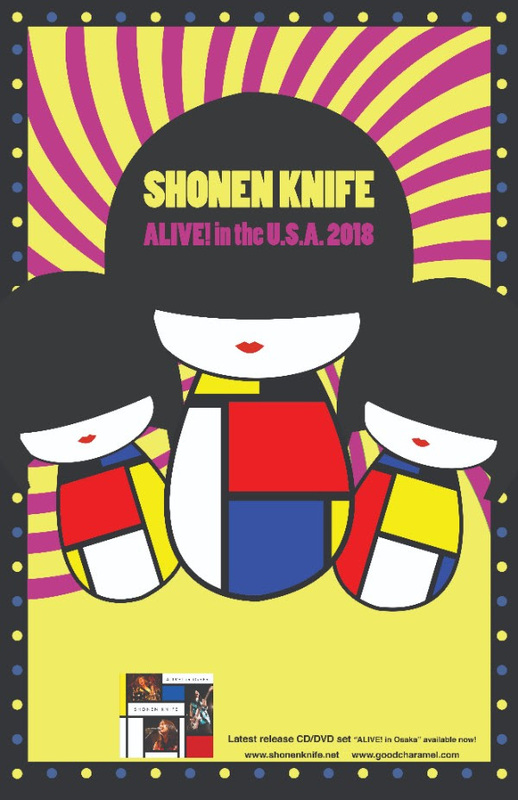 Bringing with them the candy-coated conductivity of unforgettable melodies, the incandescence of inestimable headbanging, the buoyancy of a brilliant display, and the potency of pure punk rock – SHONEN KNIFE are ALIVE! In The USA. The DVD/CD ALIVE! In Osaka was recorded live at Juso Fandango in Osaka, Japan in December of 2017 and includes 21 tracks from the band’s nearly four decade long career as Japan’s most loved indie-rock import. Featuring classics such as “Twist Barbie”, “Bear Up Bison” and “Sushi Bar Song”, newer tracks like “Jump Into The New World” and “Rock N Roll Tee Shirt” as well as a cover ofNick Lowe’s classic “Cruel to be Kind”, the band is captured in their true element, entertaining fans in the city that made them who they are today. 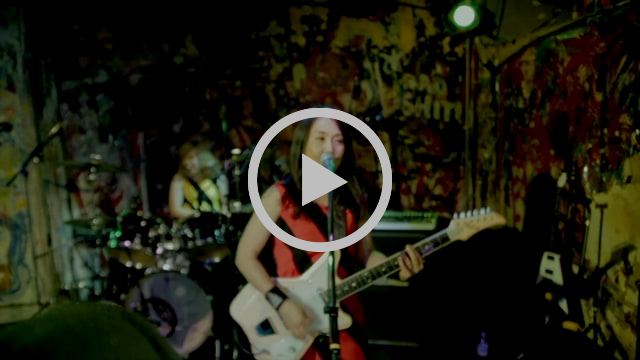 With incendiary and icon-building appearances on Lollapalooza, MTV’s 120 Minutes, Beavis & Butthead, Cartoon Network’s The Powerpuff Girls, as well as a well-received tribute to The Carpenters where they covered “Top of the World“, Shonen Knife have secured their rock solid cult status as they march into the future. ALIVE! In Osaka is available as a limited edition CD/DVD set and digitally in audio and video formats for streaming and download.